As we head into the crazy season I thought it was about time that I put down some of my main thoughts and concerns (and scientific facts) about sugar. In the weeks coming up to and over Christmas people tend to eat more sugar and sugary products than during other times of the year... this is really unfortunate as it is also the time of the year when we are more susceptible to coughs and colds... maybe the two have more connections than it just being a few degrees colder outside? Humans love sweet things. Even before we started refining sugar, we sought out foods with sweet tastes. Sugar is a simple carbohydrate that occurs naturally in foods such as grains, beans, vegetables and fruit. 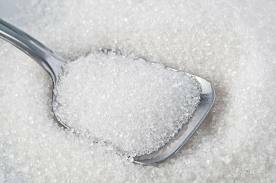 When unprocessed, sugar contains a variety of vitamins, minerals, enzymes and proteins. When brown rice or other whole grains are cooked, chewed and digested, the natural carbohydrates break down uniformly into separate glucose molecules. These molecules enter the bloodstream, where they are burned smoothly and evenly, allowing your body to absorb all the good stuff. However refined table sugar, also called sucrose, is very different. Extracted from either sugar cane or beets, it lacks vitamins, minerals and fibre, and thus requires extra effort from the body to digest. The body must deplete its own store of minerals and enzymes to absorb sucrose properly. Therefore, instead of providing the body with nutrition, it creates deficiency. It enters swiftly into the bloodstream and wreaks havoc on the blood sugar level, first pushing it sky-high—causing excitability, nervous tension and hyperactivity—and then dropping it extremely low—causing fatigue, depression, weariness and exhaustion. Some people are aware that their blood sugar levels fluctuate wildly on a sugar-induced high, but they often don’t realise the emotional roller-coaster ride that accompanies this high. We feel happy and energetic for a while and then suddenly, unexplainably, we find ourselves arguing with a friend or lover. OK - it can make us irritable but what about immunity? Your immune system is not a single organ, it is in your entire body and includes millions or cells and bacteria working non-stop to fight off invaders. Your body is invaded by bacteria, fungi, viruses, or other pathogens and its immune response is to produce a white blood cell called a phagocyte. Phagocytes basically envelop the bacteria causing the infection, stopping it from spreading and effectively killing it. These phagocytes absorb and destroy everything that could cause harm, or at least neutralise them long enough for your body to flush them from your system. Hooray!!!! However... in order to do their job, the phagocytes need lots of vitamin C. They will hunt it out in your body. White blood cells need about 50 times the amount of Vitamin C they normally would just to be able to get rid of the viruses and bacteria. When sugar is broken down into glucose its structure is remarkably similar to that of Vitamin C - however without the magic benefits - so the phagocytes trying to find vitamin C (but not) will take in the glucose instead. Worse still, it takes the body a LONG time just to get rid of the sugar in the immune system. Your body usually absorbs the glucose into your muscles within a few hours, but it takes longer to purge the glucose from the phagocytes. For as long as 4 to 6 hours after eating sugar, your immune system will still be recovering.